Hearty Tamari is one of our most popular sauoury snacks. It's the perfect healthy alternative to those no-good potato chips. Instead of empty calories, this delicious snack will leave you feeling happy and satiated. 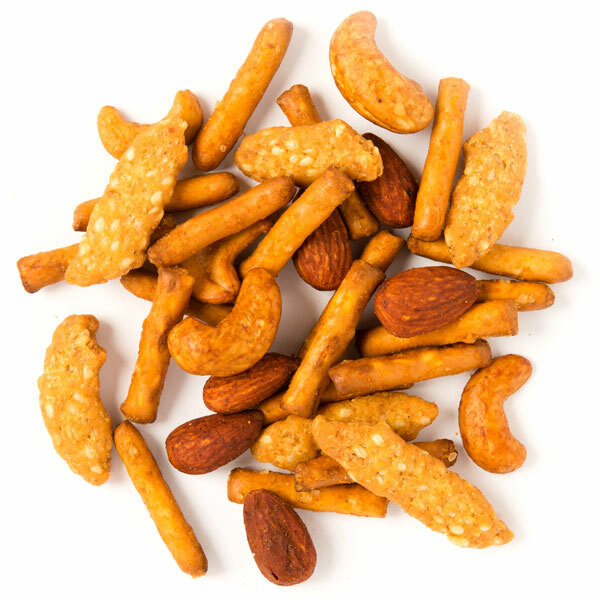 Sesame sticks and spicy pretzels mix with almonds and cashews, all lovingly slow-roasted in delicious tamari. This exotic taste from Japan confirms what we already knew - for good times, make them Tamari times.